You won't buy another ebook again after seeing all the free Nook books you can get from the websites below. These websites have millions of free Nook books on every subject imaginable that will keep you reading for a very long time. Some of these free Nook books will be yours to keep and others you'll only get to borrow, but you still won't pay a cent for them. Be sure to read the details on each site about the terms and how to download each free Nook book. It's an easy process but each website works a little bit differently. If you aren't lucky enough to have a Nook you can still read free Nook books on a free Nook reading app that's available for the iPhone, Android, iPad, PC, and Mac. 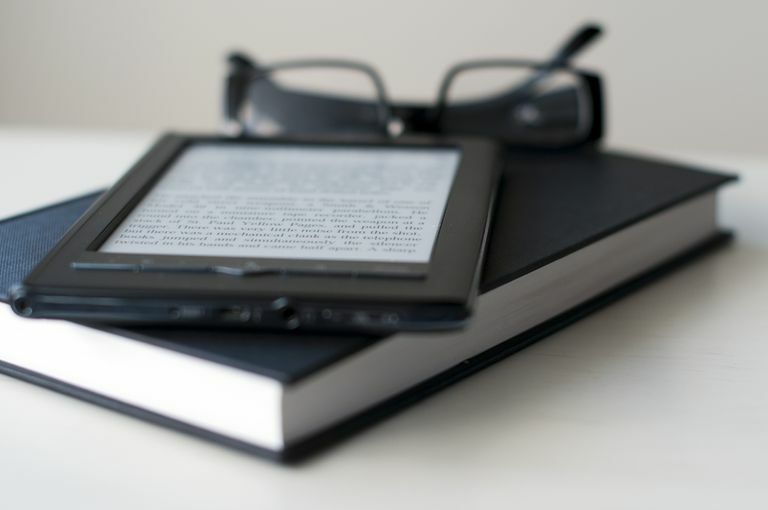 Find out more by reading this guide to getting free ebooks. Are you a Kindle owner? Find out how you can get free Kindle books. There are also a ton of free audio books out there that you can download and listen to on the go. You can get free books other ways too. The first place you'll want to go to find free Nook books is the Barnes & Noble Free eBooks page. There's over a million free Nook books here for children and adults. You can browse through the free books by browsing through the categories/subjects, like Nature, Biography, Poetry, Romance, and Fiction, or looking at them all at once to find the most popular books. You can also find free Nook books here by filtering the results by age to only show books suitable for teens or younger. While all of these Nook books are 100% free, you will need to have a payment method setup with Barnes & Noble in order to get them. Some links go to paid books. As part of the B&N Readouts program at Barnes & Noble, which used to be called Nook Free Friday. a free Nook book is posted to their website each and every Friday. While most of the free Nook books at B&N Readouts are only selections of a book, you'll want to look for the green banner above the book that says "Free Fridays: Weekend reading - on us." You can also access the book through the Nook mobile app. These free Nook books usually cost money, but as a promotion, there is a new free book each Friday that is available for the rest of the week. You'll want to download it that week because it will most likely not become free again. Free to download and read. Download process depends on Library. Nook books not always available. Many public libraries around the country subscribe to Overdrive; it's a great place to go to borrow free Nook books. You'll check the Nook books out for a few weeks at a time just like how you would check a book out at the library. After you've accessed Overdrive you can use it to download EPUB or PDF files, which are both compatible with the Nook. Enter your zip code here to check if your library participates. Random, popular, and latest lists. Thousands of available free books. Nook mixed in with other formats. All the free Nook books at Project Gutenberg are public domain, meaning that they are completely legal for you download and keep. You'll find a lot of classics at Project Gutenberg but they also have a lot of other books which you can find by browsing by the author, title, language, or viewing the top 100 free books. You'll want to download these books as EPUB files so they'll be readable on your Nook. Thousands of free books available. ManyBooks is another wonderful place for finding thousands of free Nook books in the EPUB format that can be easily downloaded to your Nook. You can browse through these free Nook books by title, author, or language. There's also a section for popular and recommended books. The categories help you find ebooks in the Occult, Cooking, Art, Music, Drama, Periodical, Business, Computers, War, Gothic, Health, Young Readers, Satire, Psychology, and Espionage genre, among several others. You can sign up with your email address to get an email with free and bargained ebooks, as well check out the ManyBooks Twitter and Facebook pages for updates. Limited to five books at a time. Some books require a wait list. Last but not least is the free Nook book website Open Library from Internet Archive that houses over a million free ebooks that you can get for your Nook. You'll need to register for a free account with Open Library and then you'll be on your way to downloading all the free Nook books you want. Many of them can be had in formats like EPUB, PDF, DJVU, MOBI, and even a plain text .TXT file. These free Nook books can be searched by subject like places, people, and times; by author; and even by user-created lists like Need to have, Old favorites, and Psychology. Easily track books you've read. Smaller selection than other sites. Free ebooks mixed in with other books. Good Reads has a section called Free Nook Books, where users have submitted free Nook books they have found. These are listed by popularity and you'll be surprised to find more than 700 free Nook books here for you to choose from.